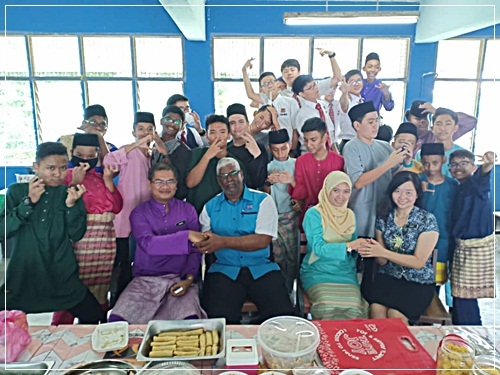 Eid was celebrated in SMK Dato' Jaafar today. 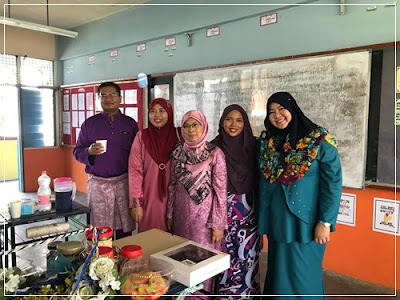 We had some sort of "open house" where each class (led by the form teacher) held a feast for the teachers, members of the class and the non-academic staff as well. Basically what I had to do was to walk around and visit a few classes assigned to me - only nine (out of the total number of 32). I was already full by the time I was in class number 3. 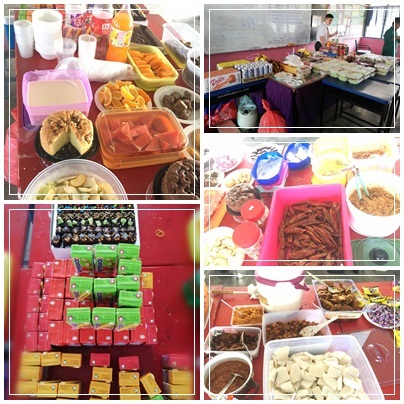 People were happy in all the classes I went to, especially when they were surrounded by delicious food. This definitely was a good session for both the teachers and students, not only the got to celebrate Eid together, but also to strengthen the rapport between respective parties. I was too busy eating so I did not take many photos. Food always unite people. And I am getting fatter by the day.